Operating for 29 years, the Seattle-Everett Interurban Trolley traveled over 29 miles of rail carrying passengers and freight to nearly 30 stops along its line. In the first decade of the 1900s, the Boston electrical engineering firm of Stone and Webster had designs of building an interurban electric railway system that would eventually connect Olympia, Washington, and Vancouver, British Columbia. 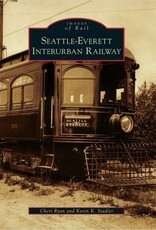 To start the Seattle north link, they purchased the existing Seattle-Everett Interurban Railway Company from Fred E. Sander in 1908. On the early morning of April 30, 1910, the Seattle-Everett Interurban Trolley made its inaugural run, starting in Everett. On February 20, 1939, the trolley left Everett for its last run.